Keeping won last time out at odds between 25/1 and 100/1 but altering distance won by to between 1 length and 15 lengths …. produces two losing years since 2003, those years lost 4.25 and 2 units. Overall, 322 bets, 68 winners (21.12% SR) and 132.62 units profit. 30 bets a year on average but only over 4 months. Last run was on Flat (not All Weather) it makes sense that we should go with like for like and to be honest I cant remember why I included AW back in May 2013 when I first created this. Today's odds between even money and 12/1. Again this makes sense because it excludes horses where the market thinks they have no chance. Horse age. I can see why this makes sense because you wouldnt expect a horse to be improving once it gets too old. But that doesnt account for trainer methods, where they might rest a horse and then bring it back to fitness at the race course. I see profit at 9 years old and older, so I'm going to leave this rule out of my system. My end system, which is now partially back fitted so small stakes to begin, is slightly more profitable than what Derek proposed, with a few more bets. But with 3 losing years. But it is definitely improved for Derek's input, here are the final rules along with overall results and yearly breakdown. We had a reader question in last week in response to one of the draw bias articles we published, so today I am going to try and answer that. 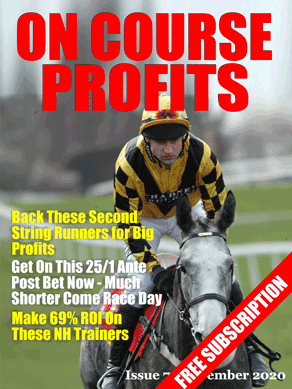 I read your page every day.I was interested in the draw bias features you posted re Pontefract. As a follow on does or is there a bias for all race tracks or just certain ones? Just a query – note the card at Windsor tonight (16/06/2014).7 races and four winners from stall 9 at odds to sp of 5/1, 16/1, 16/1 and 9/2 £375 profit to £10 stakes. Is there a bias for all tracks, I would say no, not a repeatable consistent bias that we can make money from. It's not in the best interest of the course to have a bias and if possible they will work to remove any bias that occurs. Regarding a Windsor draw bias, I don't know if there is a bias, so let's look at some numbers to see if this is a one off anomaly or something we can profit from. So the first thing I did was to look at the stall stats for Windsor over the last 10 years when 9 or more ran. Obviously if I looked at all races the stats would be skewed towards the lower stalls when less than 9 ran. Nothing significant there, with a minimum of 9 runners you would expect stalls 1 – 9 to have similar strike rates and they do all being between 8 – 10%. This is interesting and a little strange. First off I see 8 runners races with stall 9 horses, so I guess this is where a horse is withdrawn, so I'm thinking we can say that where there were 9 horses declared to run then backing stall 9 is profitable. Because looking at the above table we can see profit when 8 run and when 9 run and an increased strike rate. What I'm thinking now is that there is a bias at Windsor and that maybe it is towards the highest stall in the race and that maybe in 8 runner races stall 8 has an advantage and in 7 runner races stall 7 etc. So that's where I'm going to leave it for today, there is a meeting at Windsor on Saturday and I will write some more on this before then.